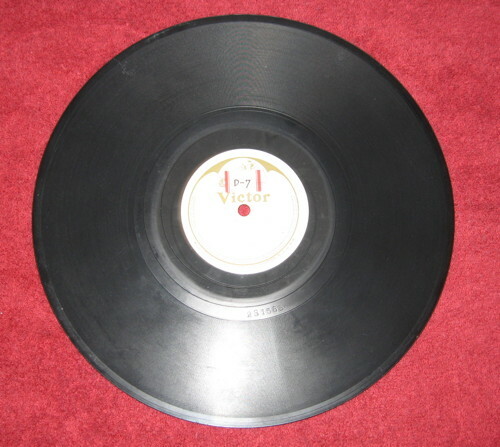 Here’s what one of the records looked like beforehand. The disc is covered with dust, oxidation and about 70 years of sitting around. 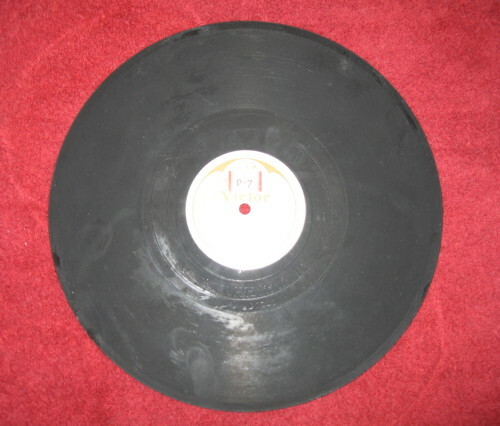 Here’s what the disc looks like after cleaning (by hand). This process includes a special tool I invented which spins the record at 7,000 RPM to remove any water before it can dry on the surface. Here’s an audio file demonstrating the importance of cleaning the media prior to digital encoding. The first pass you hear is what would happen after a basic cleaning using a diskwasher or similar product. The second pass is after the advanced cleaning process which I use to physically remove as much of the noise from the track as possible since physical (analog) removal is superior to digatal (post production) dsp. Note there’s no alterations to the music, just the level of background noise has been dramatically reduced.